The Docma VF155 Ultralight Automatic is a lightweight portable winch with a built in drum. The drum carries 80m x 5mm of ‘Dy-Forest’ rope. This is a super strong synthetic Dyneema rope which is stronger and safer to use than steel cable. 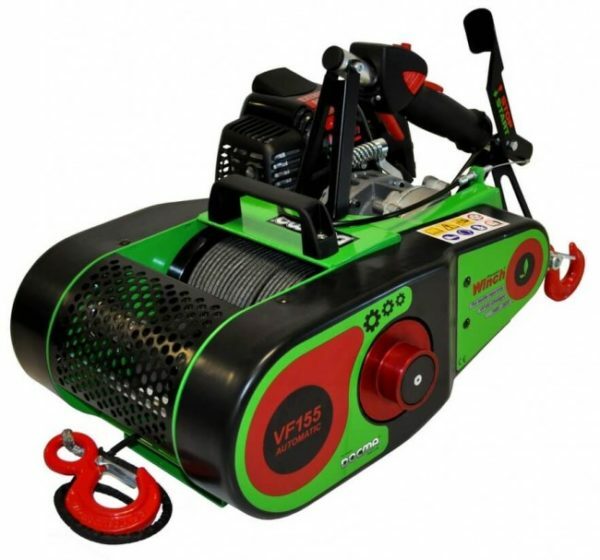 Having the rope on the drum makes the VF155 both convenient and easy to operate. 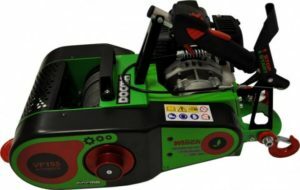 The 1485kg pulling capacity is plenty for extracting timber, back hauling cable, assisted felling etc. The VF155 Ultralight Automatic also has an automatic brake and an automatic rope guide. This means the rope is laid back onto the drum automatically which keeps it neat.